When it comes to window installations, many homeowners don’t fully consider awning windows. However, they can be a great investment. These windows use a crank to swing open in one motion (much like casement windows), however, awning windows are installed horizontally instead of vertically. When awning windows open, they only open several inches, which means they’re the only window type you can open even when it’s raining outside. Because of the window pane’s downward angle, the rain will run down it and onto the ground instead of coming into your home. This feature is also beneficial when it comes to security; a window that doesn’t fully open makes it nearly impossible for burglars to get inside. 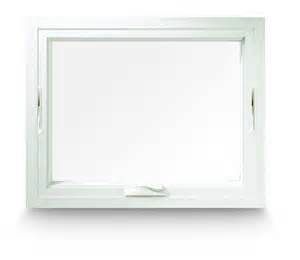 Because awning windows are installed horizontally and open outward, they take up very little space in a room. This makes them great for smaller areas like kitchens, bathrooms, and basements, where ventilation is needed. These windows can also be paired with other types of windows (such as casement, picture, or even multiple awnings) to create an even more unique look. If you want to learn more about awning windows and find out if they’re right for your home, contact us today.